A stand-alone profile for anyone leading a group or organization. You’ll discover your leadership style and learn a simple 3-step process to help you approach the fundamental work of leaders: Vision, Alignment and Execution. The profile is a 23-page highly personalized report that identifies leadership best practices across 18 behavioral continua. It includes strong visuals to illustrate key messages, context-specific feedback, and tips and strategies for improving leadership effectiveness. 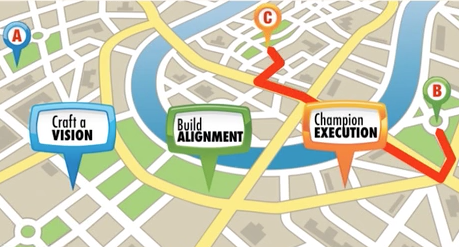 Using the framework of Vision, Alignment, and Execution, Work of Leaders® encourages leaders to understand their own leadership behaviors and how these behaviors impact their effectiveness. Rich, compelling narrative adds depth to the data, and strong visuals support the learning process by illustrating key messages. Consistently thought-provoking, Work of Leaders® stimulates fresh conversations and perspectives regardless of the leader’s knowledge or experience. It’s an opportunity for leaders at all levels of learning to reflect on how they approach each step of their work. In addition, Work of Leaders® encourages reflection and discussion about the team and the organization. Work of Leaders® helps leaders take action with personalized, easy-to-apply tips and strategies that give clear direction. Context-specific feedback, developmental steps, and helpful case-in-point narratives show how progress can play out in real life. 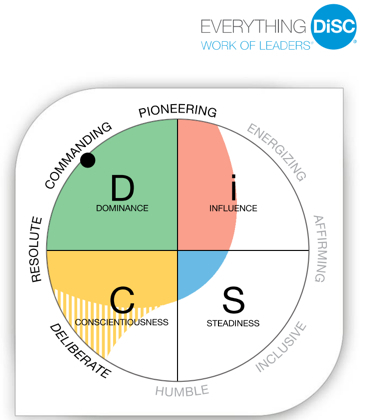 Included with the Work of Leaders® assessment you will be given access to MyEverythingDiSC.com, an interactive portal where you can access your DiSC report, invite others to compare styles and get personalized insights about you and the people you know. Click here to learn more about this exclusive content. 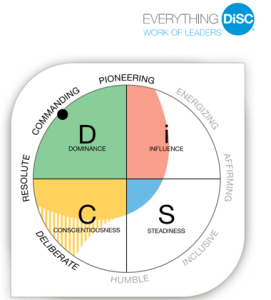 Designed exclusively for use with the Everything DiSC Work of Leaders Profile, the Work of Leaders Group Report brings together participant data to provide a composite overview of the group. The graphs illustrate the group’s approach to Vision, Alignment, and Execution and help explore the group’s overall strengths and challenges to create an action plan for success. Sold separately. flict management, and more! Unlimited access available with all Everything DiSC profiles. We would be happy to contact you with more information on how you can get started in utilizing Everything DiSC Work of Leaders® in your organization.